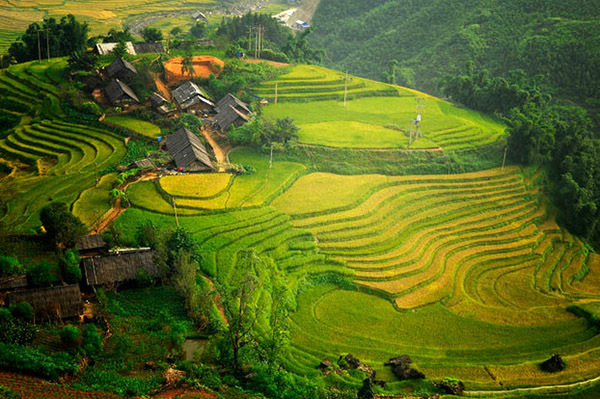 If your favorite is majestic nature and mysterious culture of the lifestyle of ethnic minorities, Sapa would be one of the best places which you must discover. Famous for its majestic mountains, picturesque valleys, magnificent cloudy sky, wild nature and unique culture, Sapa is now the favorite destination of both domestic and international tourists. With the same path, but you can choose the different styles of a tour by using different classes of services. 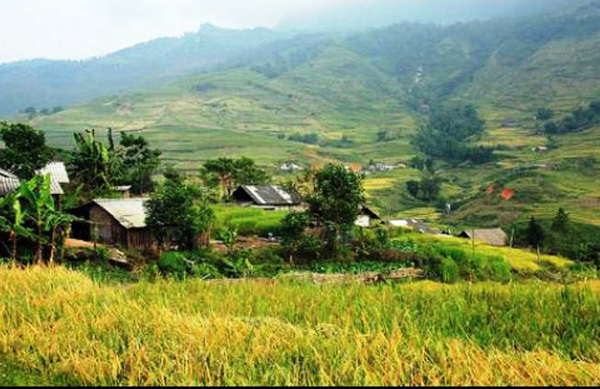 And if you prefer a journey full of experience, this “Sapa – trekking through the valley 3 days” which we introduce below will be one of the best Sapa treks for you. Proud to be the capital of Vietnam, Hanoi is not only an attractive destination in the travel of international tourists but also an ideal starting point for most of the journeys to explore beautiful landscapes in Vietnam, including Sapa. And in your best Sapa trek, you need to note some things for your night of departure. The first of this Sapa tour, of course, is taking a train from Hanoi. 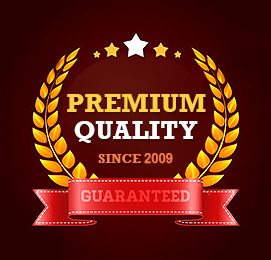 With a travel package provided by Travel Sense Asia, your train ticket will be ready. 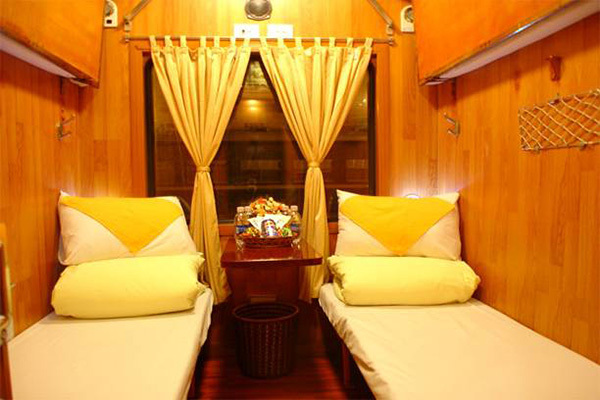 At 8:30 pm of the first night, a guide and a driver from Travel Sense Asia will meet you up at your hotel lobby and take you to Hanoi train station, where the guide will help you to check in your cabin. Make sure you are prepared for sports shoes and clothing suitable for your Sapa trek. Anti-mosquito and plastic boots will be useful in case of bad weather (raining season from May to September). You also should remember to lock the cabin door carefully and if you want a private cabin, do not hesitate to report it to us. Now, overnight on the train and when your eyes open, your best Sapa trek begins. 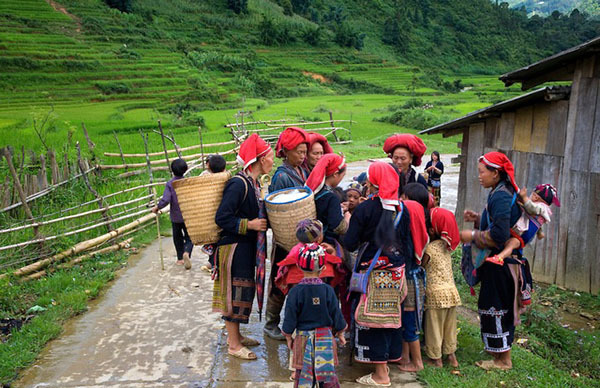 The first destination in this best Sapa trek is Ma Tra – a small village of Black H’mong minority. After breakfast at a local restaurant, you will then depart for this small village 5 km from Sapa and start your beautiful hiking route today. This trip commences with a short walk through the town of Sapa and along a dirt trail through beautiful gardens and lush pine forests. The village of Matra appears after beautiful forest as an ancient land hiding away from civilization. You can leave the busy life behind and enjoy a nice walk to visit this small village of Black H’mong minority as well as admire the spectacular scenery here. The green terraced fields, the hilly mountains hidden in the clouds will make you fall in love with this northwestern land. And to better understand the unique culture of this place, feel free to chat with H’Mong local people. Don’t be afraid of talking with them since the locals are very friendly and hospitable. 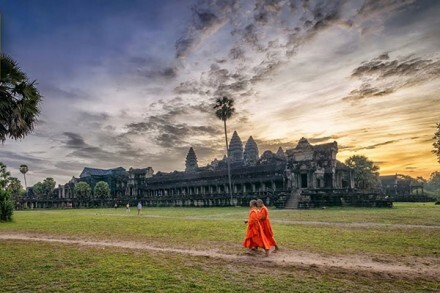 During the trek, it is also a good idea to see locals working in the fields, visit traditional houses, arrive in the local caves, and go for a stroll around the rice paddies and mountain views. After a break, tourist will depart to Ta Phin village. Far from the Sapa downtown about 17km, Ta Phin Village is inhabited by both Dao minority and H’Mong minority. 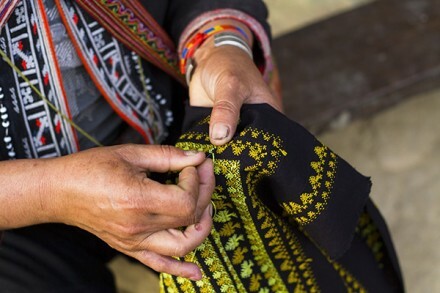 Known as the key tourism place of Sapa, Ta Phin truly impresses tourist by the natural and original landscape, the specific-cultural values of the Red Dao with its famous brocade. If you have a chance to visit Ta Phin, you should visit Ta Phin Cave nearby, which has many stalactites creating interesting shapes like fairies dancing, meadows … Ta Phin Cave hides many legends and mysteries with Sapa tourists today. It is also a place owns great value for research, archeology, tourism … should be preserved and protected. Coming to Ta Phin in an afternoon, you can admire the picturesque scenery of ethnic houses hidden behind the kitchen smoke, nestled in the beautiful valley surrounded by mountains extend endlessly. The paved roads look like smooth silks across mountainsides. Two roadsides are lush terrace fields, alternate corn fields, indigo forests, colorful flowers and fruit trees (peach, pear, plum…). Next, Travel Sense Asia tour guide will take you hike from Lao Chai to Tavan – another popular trekking destination in Sapa. The trail connecting the two villages is quite small so you need to trek one by one. Along the two sides, there is an appealing panorama of a fertilizing terraced field adorned by the verdurous hue of corn and rice. Most ethnic Giay in Ta Van live together with growing rice as their major earning jobs Besides, they also can engrave silver and instruments. 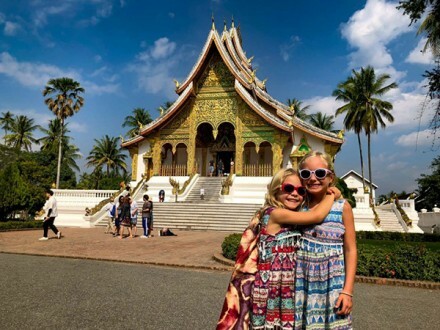 Walking through Lao Chai is a great experience for you to learn more about the culture and customs of this place. 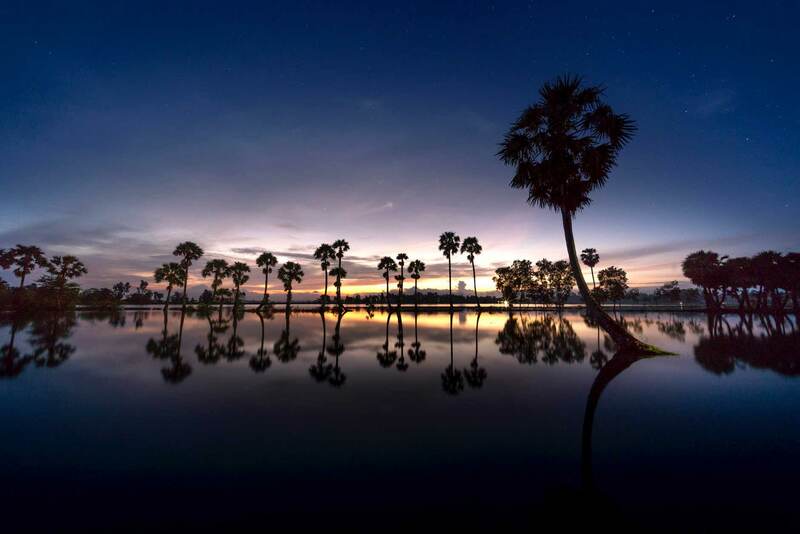 Naturally, the unique civilization and honorable values inside Giay characteristic and soul will convincingly be kept as the most impressive feature in your travel book. After a delicious lunch and a break, we will continue one of the best Sapa treks through a beautiful bamboo forest to a splendid waterfall in Giang Ta Chai – a village of Red Dao, H’mong and Giay minority. You can distinguish them with colorful traditional costumes. It is interesting to discover the unique character of this place and chat with the villagers who can impress you with their genuine hospitality and friendliness. You can also admire the natural and original scenery, along with having a swim at the waterfall if there is enough time. The scenery of the minority’s village in the golden sunset will be a picture that you can hardly forget after this Sapa trek. Last day in your best Sapa trek also promises a lot of interesting experiences. The first destination this morning will be the Silver Waterfalls. You will be transferred here with a private car. Only half an hour from Sapa town, Silver Waterfall is known as one of the most gorgeous and famous waterfalls in Vietnam. The majestic water flowing from above as a true silver line can steal the heart of any visitors. The best view of Silver Falls is from Ham Rong Mountain. Especially on the clear and sunny days, from the peak of Ham Rong Mountain, you can admire the magnificent majestic beauty of Silver Waterfalls with breathtaking scenery around. The next place for best Sapa treks is Tram Ton Pass. 2km from Silver Waterfalls, Tram Ton is where you can spread their eyes over the stunning panoramic view. 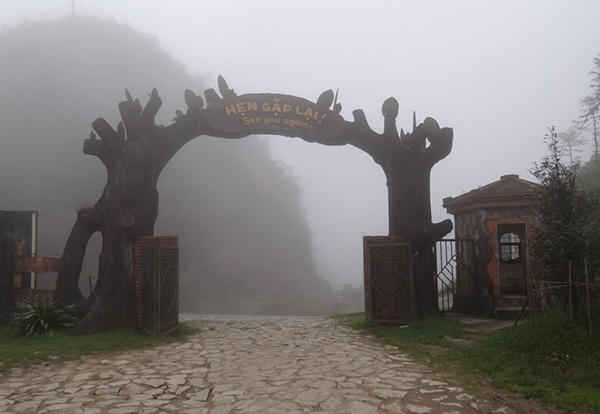 This pass is up to 1900 m and is recognized as the highest pass in Vietnam. With its eye-catching landscapes and spectacular surroundings, this place is also known as Heaven Gates. Follow the mountain road with colorful flowers on either side of the road, up to the Heaven Gates, you will also experience the spectacular changes of the weather. If the road up to Tram Ton sometimes has drizzle due to its elevation, when you reach the top of the mountain and look down, you will see a scene like the spring in paradise. Crystal clear and shining blue sky illuminates the endless mountain ranges, gorgeous silver waterfalls, lush green forests and beautiful villages. This amazing scenery will make it hard to take your eyes off and feel completely worth along the way. In the afternoon of the same day, you will have free time to walk around the Sapa town as well as experiencing the local life before coming back to Hanoi by a night train and ending one of your best Sapa treks. This is an opportunity for you to enjoy the highland specialties as well as looking for some special gifts to keep the memories of this trip. 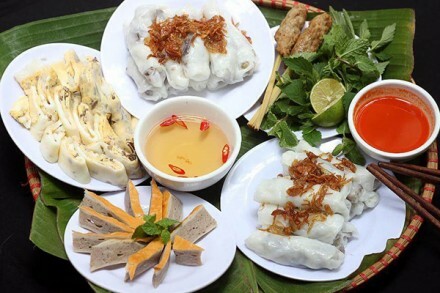 You can also spend time visiting some famous places such as Bac Ha Market, Cau Can, etc… A lot of terrific and delicious dishes such as Thang Co or Men Men are even served at restaurants and hotels in town. Note that you always carry a map to track out your trekking routes as well as what the tour offers. Remember to choose a suitable clothing, comfortable shoes and always bring water with you. Besides, let’s try and buy souvenirs from a member of each ethnic minority. 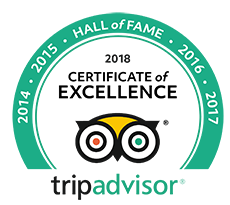 The reason is that this helps to create the more fair and impartial tourism economy and makes sure that you are doing your part as a sustainable and honored visitor. At the end of the day, your private car will be ready to take you to Lao Cai station, where your train is waiting to take you back to the noisy city life. However, the images of the peaceful Sapa village, the friendly Sapa people, and the majestic scenery of this place will surely be beautiful memories so you can remember and feel more relaxed after a hard working day. Wish you have wonderful memories with Sapa! How to Get the Safe of Sapa Motorbike Tour?